Hello, hello! I hope you are doing great. A friend of mine shared with me a granola bar recipe and, let me tell ya, I changed the recipe a bit and the end product was yummy granola for breakfast. So good and it only has four ingredients. Four. So simple. So good and simple. 1. In a food processor, pulse the dates until they look like a dough. Alternatively, you could soak the dates and then mash them with a fork (nice arm workout). 2. Combine dates, almonds and oats in a bowl. 3. Melt nut butter in a saucepan under low to medium heat (watch out for it not to burn). 4. Add the nut butter to the bowl of oats and mix well. 5. Transfer the granola mixture to a 8×8 container lined with plastic or parchment paper. Let it harden in the freezer for 5 minutes, then for 10 minutes in the fridge. *If you would like to make granola bar, leave the mixture in the freezer for 20-25 minutes, and then cut into bars. 6. 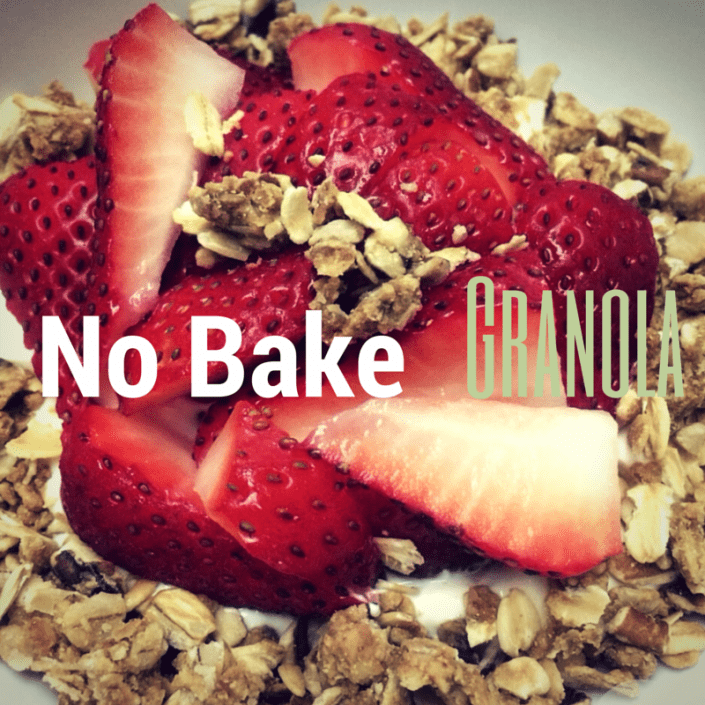 Store the granola in the fridge or at room temperature in an air-tight container.